For years, the vast majority of Apple products were compatible with the same type of charger, the standard 30-pin connector. This wide, flat input type provided a stable connection, but could only operate if inserted into the phone in a specific direction and often experienced problems with build quality over time – read more at iiNet. 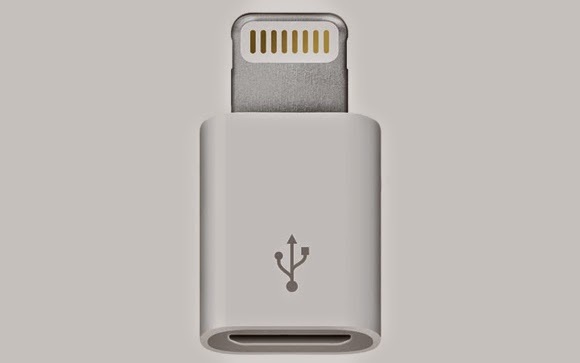 To address these issues, Apple developed the proprietary Lightning charger, a new connection type designed to be faster and more reliable than the old charger style. The Lightning-type connection is required for all current generation iOS devices and is only available through Apple authorized retailers. While the Lightning charger is still used for all of the same functions as the old connection type, including charging and managing content between an iOS device and a computer, several key differences help set this new connection type apart. The new Lightning charger is 80% smaller than a 30-pin connection, and is specifically engineered to be sturdier than its predecessor. Lightning chargers are reversible, meaning they can be inserted into a device while facing in either direction. Apple introduced the Lightning charger to iOS users for a number of consumer-focused reasons. Along with presenting a superior functional alternative to a 30-pin charger, the streamlined design of the Lightning charger allows the company to produce sleeker phones as the terminals for the connection take up less space internally. Establishing the Lightning charger as an iOS standard also discourages 3rd party accessory use. Apple intends this measure as an effort at consumer protection, as a 3d party accessory could experience unexpected issues when used with an iOS device and even void the warranty with their use. As a result, most current generation iOS devices will display an incompatibility message indicating device rejection when a 3rd party accessory is used. Apple makes 30-pin to Lightning connection adaptors available to enable some functionality with older Apple accessories. The 30-pin adaptor may affect the way the compatible device fits with cases, stands and other accessories, but nevertheless gives long-time Apple device owners a chance to get continued utility out of their older Apple accessories. The move to the Lightning standard provides a substantial upgrade to a standard 30-pin connection in a number of technical aspects, but unfortunately makes older Apple accessories incompatible with newer iOS products. These efforts at innovation and consumer engagement are at the core of Apple’s legacy and represent a natural progression of the iOS experience.